In the world of sports, it is easy to drown in a sea of information between points, stats, player and game analysis. Social media presence is crucial not only to keep your audience informed, but to also keep them engaged and entertained. 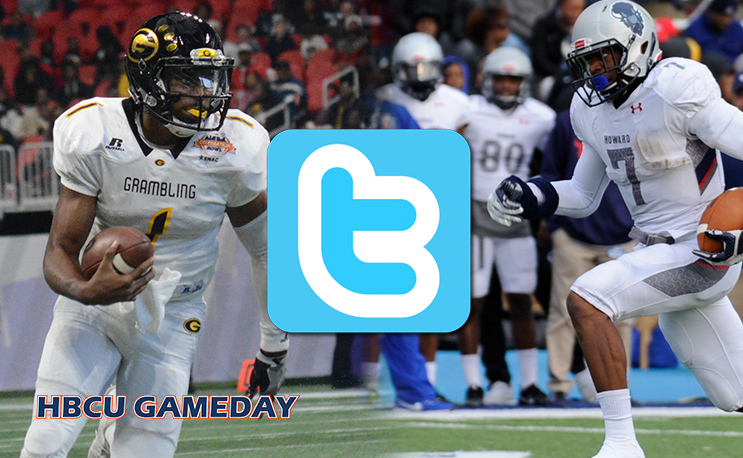 This list provided counts down the top 10 twitter accounts for HBCU athletics, and what exactly makes them stand out. Having a big and active media library, NCCU regularly sends out GIFS and featured pictures with flashy graphics to help encapsulate game day action and scores. The Eagles also feature live steam links for fans. NCCU is the MEAC men’s basketball tournament champion for 2017, and won all or a share of the MEAC football title every year from 2014 through 2016. The Aggie pride of NC A&T heavily resonates into athletics, bringing in over 12,000 followers. Though the media library isn’t stacked, A&T media features visits with the media made by the athletic teams, score graphics, and promotional videos to get fans to come out to games. the Aggies timeline features concise stat updates throughout games, while game synopsis’ are also made available to the timeline. It doesn’t hurt when your football team goes 12-0 and you have a Tarik Cohen float through your program. While also staying on top of releasing scores and updates, the Jaguars and Lady Jaguars have a more interactive timeline by retweeting interaction from fans, students, and reporters. This gives their page a nice run of not only original content, but also outside coverage. FAMU has a timeline that incorporates a lot of school spirit through hashtags. Throughout the duration of games, you will see at the conclusion of tweets #LetsGoRattlers and #FangsUp hashtags, at least. Within the media are vibrant final score pictures and promotional pictures featuring players. Morgan State has a very fun timeline to scroll. MSU’s use of multiple emojis in informational tweets make its content more enjoyable to digest, while also regularly featuring media in their tweets. While having fun, game stats are still sent in a concise, appropriate format. The Lady Bears🐻🏀 are back in the lab👩‍🔬 preparing for this weekend’s contest at @CoppinStateUniv. Just shy of 15,000 followers, Prairie View A&M starts off the top 5. The Panthers’ timeline, outside of regular game stats, promotes live steaming links for games and regularly features articles from the athletics website. The timeline also features a weekly upcoming schedule for the athletics. Texas Southern has a timeline that has a great balance of media, original content featured on the athletics website, and in-game stat updates, while also retweeting featured mentions. The Tigers are the men’s basketball conference regular season and tournament champions for 2017, while the Lady Tigers are the women’s basketball conference regular season and tournament champions for 2017. TSU is another timeline that frequently has vibrant photos throughout their media. The in-game shots captured are a great asset alongside the promotion of upcoming games of all sports variety. The Tigers also regularly feature content from their website alongside their media to further explain featured stories. Savannah State is in third place, having a media heavy account. The Tigers feature a good amount of media into their timeline; there is an ample amount of in-game video highlights. Most tweets have an attachment of either media, or content from the athletics website, making it another page that is fun to scroll. Home of Shakyla Hill, DeVante Kincade, Martez Carter and more, Grambling State comes in second place. The Tigers also have an interactive timeline retweeting featured mentions. Their media library stands out, incorporating history into eye-catching pictures along with stats, featured players of the week. The Lady Tigers are the women’s basketball conference regular season champions for 2017 and the football team has claimed back-to-back SWAC football titles and won the 2016 Celebration Bowl. Surpassing second place by over 15,000, Howard comes in first place with a total of over 45,000 followers. It’s seen a pretty quick rise as it seems like just yesterday it was under 20k followers, but the biggest upset in college football history and other big moments will do that. With a healthy media library and a strength in #hashtagging, the Bison timeline sends out their game stats with a flare of school spirit. Howard also regularly incorporates original articles on the timeline featured on the athletics website. Despite bringing in the highest follower count, “the Mecca” oddly enough, is not verified.